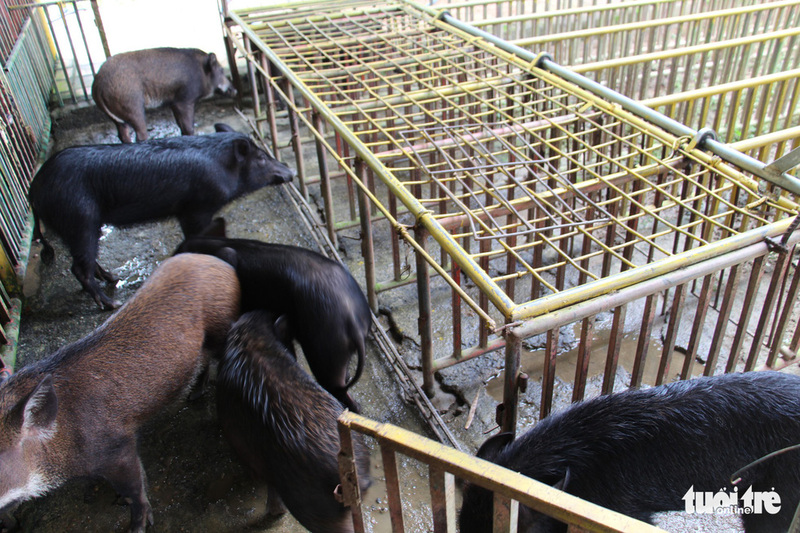 Wild boars in Khanh Hoa Province, located in south-central Vietnam, have recently found a better – and much safer compared to the slaughterhouse – purpose to serve: becoming racing contenders for the local Yang Bay tourist park. 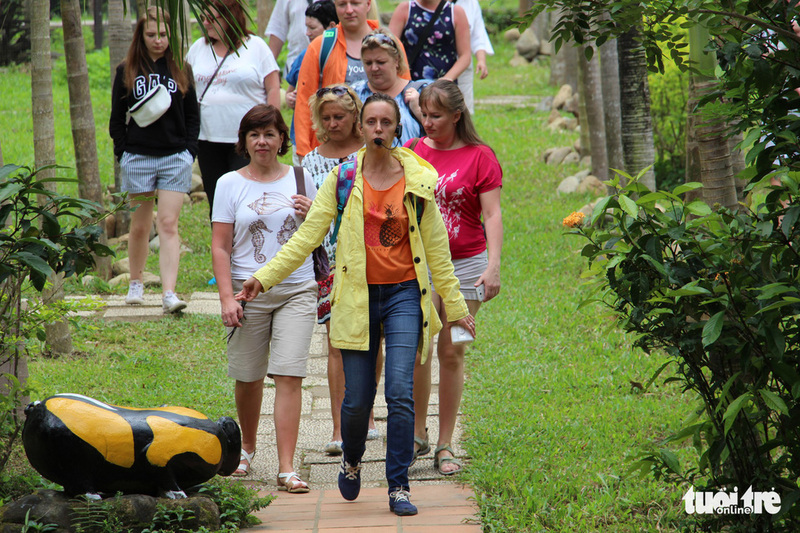 On January 27, foreign sightseers in Khanh Vinh District were in for an exotic surprise. 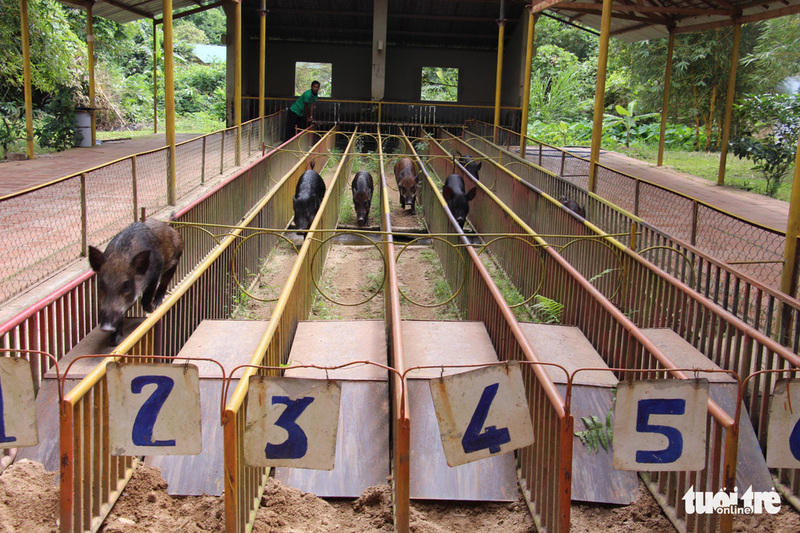 Seven wild boars stationed in respectively numbered lanes, 6m (20ft) wide and 30m (98ft) long, wasted no time charging to the finish line ahead the moment the signal was given. That was the common drill of the newfound sporting event at the Yang Bay tourist park, in celebration of the coming Year of the Pig in the lunar calendar. 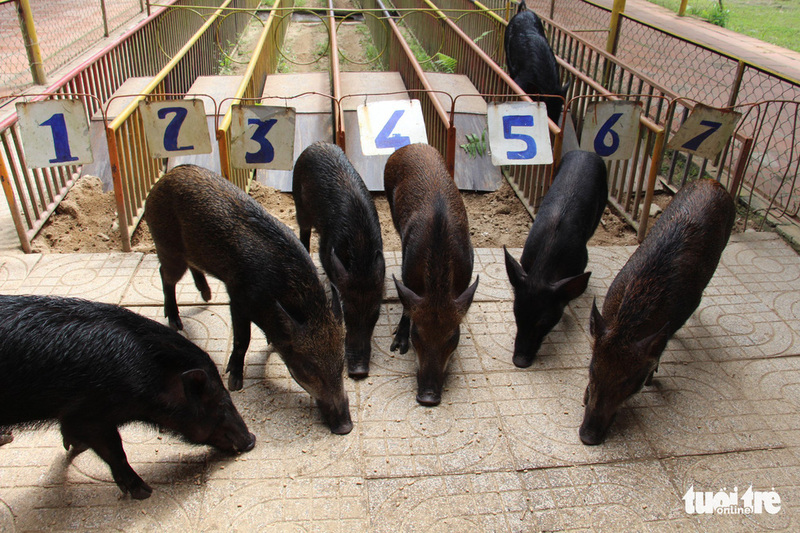 Taskmaster A. Dung revealed the racing boars come from a unique breed. Not only do they boast high intelligence but the boars also come with potent innate vitality and strength, which are worlds apart compared to their domestic counterparts. These traits allow them to undergo training just as effective. “There are 18 of them active at the park. 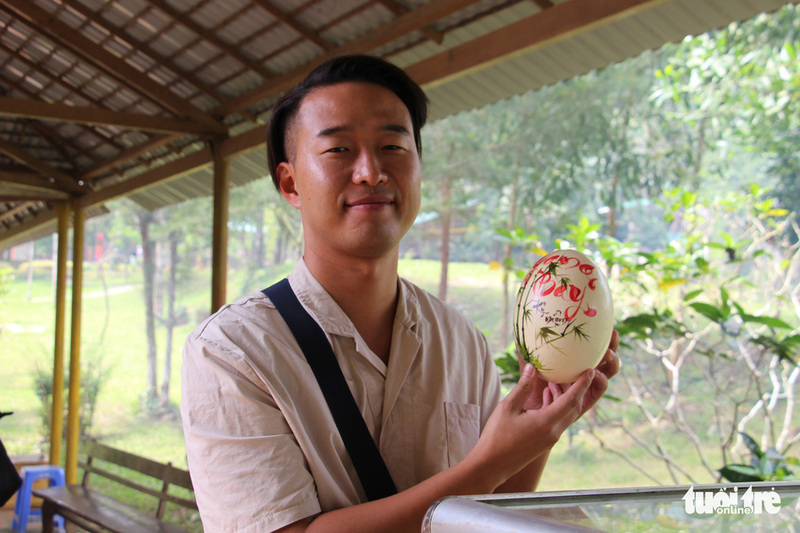 They will be replaced every seven years,” Dung said. 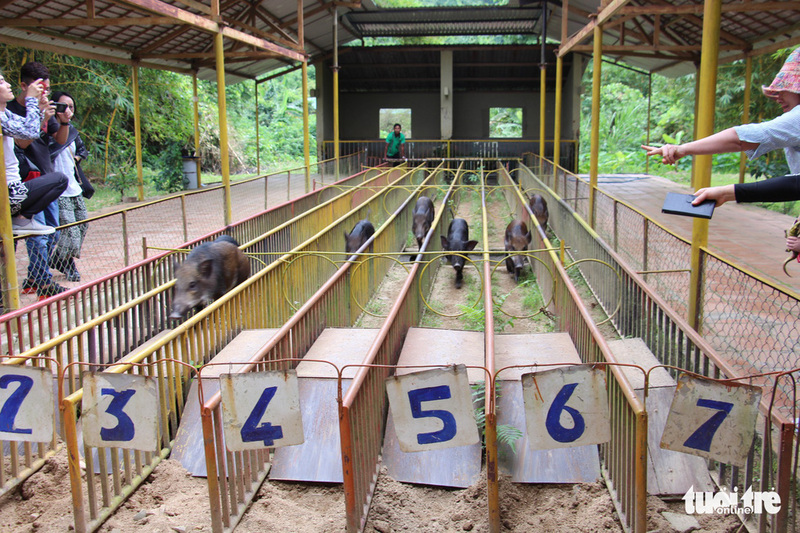 “The wild boars have been put under a strict regimen since birth to boost growth. Once they reach 10kg, the weight will be maintained, while taming procedure takes place for optimal racing performance,” he added. 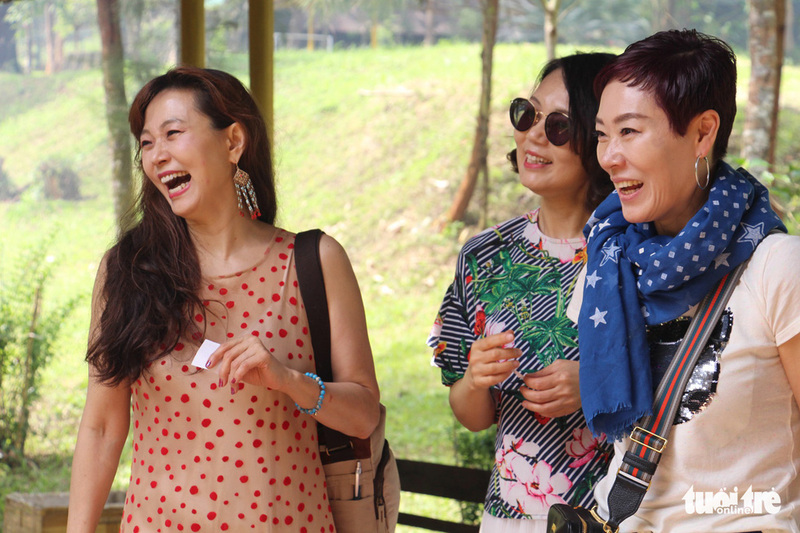 Nguyen Thi Phuong Lam, representative of the tourist park, disclosed that the game was inspired by the long-held tradition of the local Raglai ethnic minority. 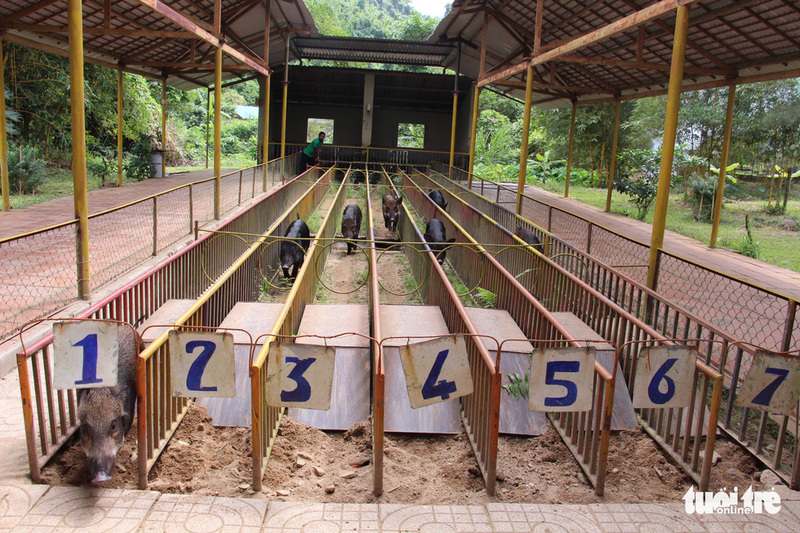 When a new crop season commences in lunar March, the Raglai community will hold a pig racing game. 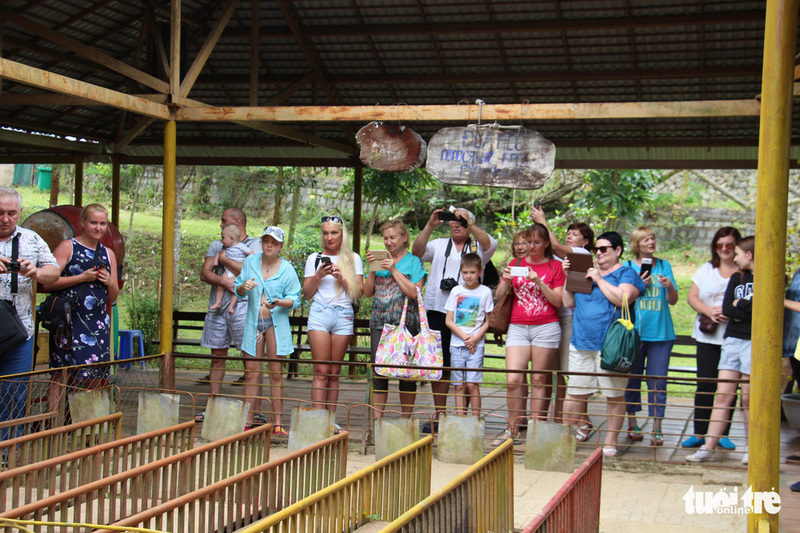 Each participating family will pick out the healthiest pig from their herd for the game, and the winner pig will be sacrificed to the Sky God in exchange for another prosperous season and fortune. According to the Vietnamese zodiac, the forthcoming 2019 is the Year of the Pig. 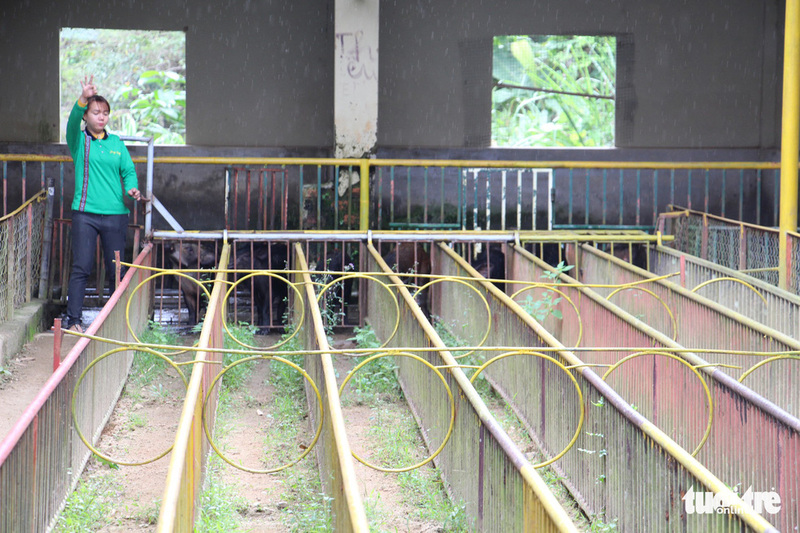 As a result, many pig-related events have occurred throughout Vietnam these recent days.